I would like to note that I’m finding it a bit annoying that two of the anime series I follow are currently stuck in filler. 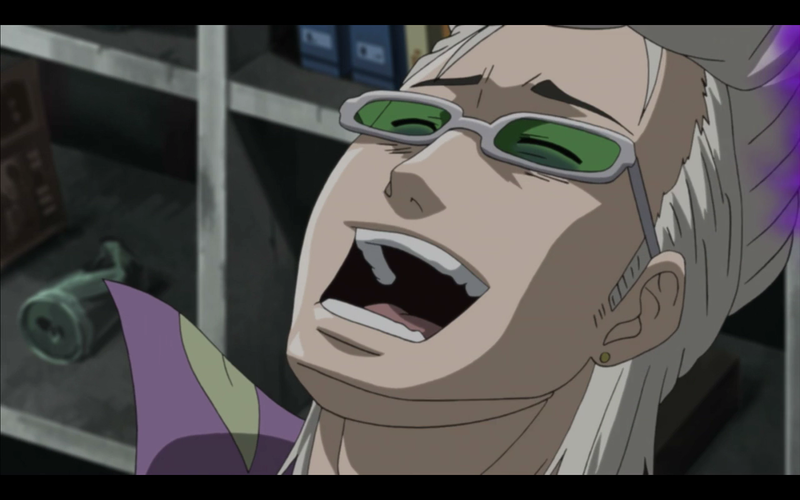 Then again, if I followed Bleach and Naruto I’d be stuck in filler all the time. 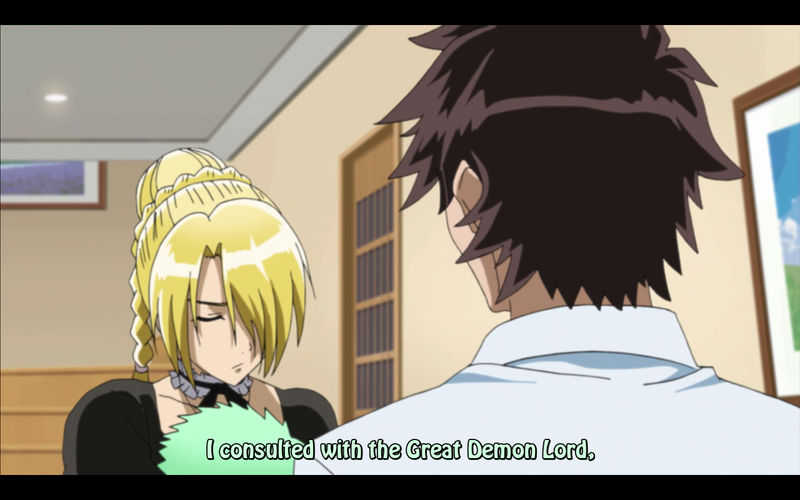 Though, out of all the filler episodes I think this one had not only the best story, but also scored points because of a small little moment that really helped define Oga’s character just a little bit more. That’s not easy for filler to do. 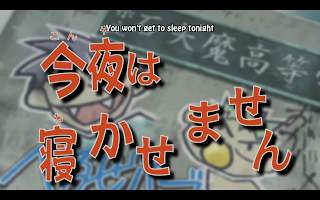 The episode starts with Beel raising hell, and refusing to go to sleep. 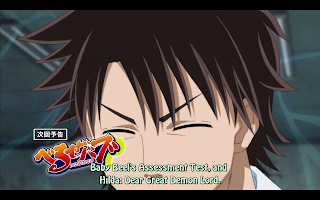 Oga and Hilda try several things to get him to calm down, but nothing works. 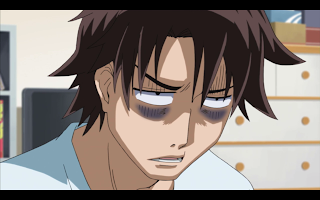 Even playing with him all day so that he’s tired during the night only works up until the point where Hilda steps on Oga’s crotch while trying to get to the bathroom. Yeah, this is one of those episodes that has been causing a friend of mine to wonder what the crap I’m watching. He’s the only one though, everyone else has stopped reading my blog since none of them like anime in the first place. 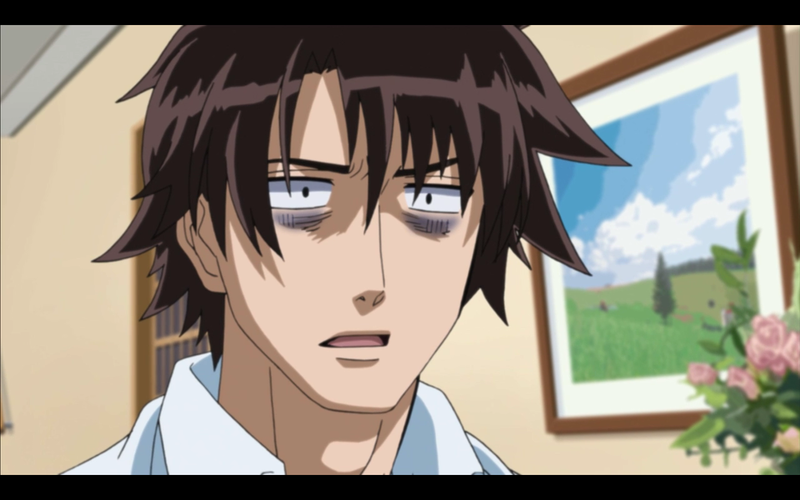 The next day, the entire school is so exhausted that each and every one of them can do nothing but sleep all through class. Which is just fine, I don’t think they have any lessons anyway. Which begs the question why they bother coming in the first place. 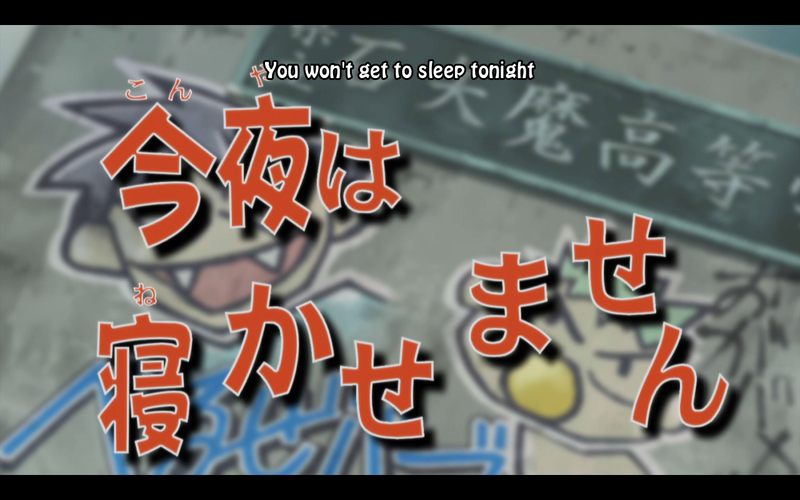 The three members of the Tohoushinki all dream about beating up Oga, or marrying him. I’ll let you guess who dreamed about what. Oga manages to make it home, only to discover that Hilda, who had left to find a toy to comfort Beel with, was unsuccessful and that the only thing to be done is to take Beel back to the demon world. Instead of partying, like I would have imagined he would after getting rid of Beel, Oga actually looks sincerely sad as he watches Beel being carried away by Hilda. Of course it turns out to be a dream, and when Oga wakes up his expression is subtle, but it is pretty clear that he is actually fond of Beel, despite his complaints. Now this could either be character development, or completely out of character, but I kind of like it. It’s rare that filler actually bothers to do any characterization, so I count this one as a success. Definitely one of those rare, watchable filler episodes.